The Art Gallery of New South Wales today announced the appointment of Maud Page to the position of Deputy Director and Director of Collections. Page fills the vacancy on the Gallery Executive team left by Suhanya Raffel who recently commenced work as Director, M+ in Hong Kong. Page is well known to, and highly regarded by, the Australian and international arts community and comes to the Art Gallery of New South Wales from the Queensland Art Gallery | Gallery of Modern Art (QAGOMA) where she has been the Deputy Director, Collection and Exhibitions since 2012. Page’s tenure at QAGOMA which commenced in 2002 included the delivery of APT8 in 2015-16 with attendances of 605,000 and an economic contribution to Queensland of $21 million. Page also developed the Gallery’s first Indigenous Engagement Strategy and initiated the first Indigenous Advisory Group for APT8. Art Gallery of New South Wales director Dr Michael Brand said Page would both complement and add to the Gallery executive’s diverse range of skills and expertise. “As well as being a clear strategic thinker, Maud has extensive curatorial experience across historical and contemporary art. Most recently she curated a major retrospective of New Zealand artist Michael Parekowhai and oversaw the realisation of the Cai Guo-Qiang ‘Falling Back to Earth’ exhibition including a major commission. “Maud has also conceptualised and managed large arts projects such as the Asia Pacific Triennial. 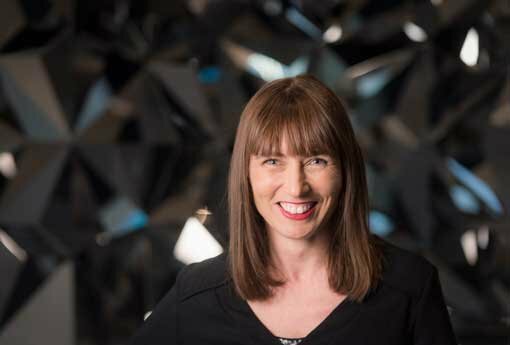 She has worked on the delivery of cultural infrastructure dating back to the djamu Gallery at Customs House, an initiative of the Australian Museum in 1998, and most recently the Gallery of Modern Art, the Queensland Art Gallery’s second building that opened in 2006,” Brand said. “We look forward to welcoming Maud to Sydney, where she’s worked previously across a number of organisations and projects, including in Western Sydney,” Brand added. Page said she is excited to be joining the Art Gallery of New South Wales as it prepares for what could be the most exciting art museum expansion project in Australia for many years. “The Gallery’s magnificent collections and its deeply skilled curatorial staff are renowned nationally and internationally, and I’m thrilled I have the opportunity to work with them, and to assist the entire Gallery team as it works towards the delivery of an expanded Gallery,” Page said. “We are in a period of unprecedented change in our sector. With this change comes great opportunity for arts institutions to ensure they are responsive and actively engaged in social change. “The future demands we engage with diverse communities with purpose and meaning. Internationally, the future is about being both global in outlook and leading through our regional uniqueness,” Page added. Yves Lefur, Director of Heritage and Collections at the Musée du quai Branly, Paris, said Maud had been working with culture for nearly two decades and understood its complexities and relevance to contemporary society. “I am very happy that the Art Gallery of New South Wales has appointed a colleague who can so eloquently draw on culture and history to make sense of the now, the local and the international,” Lefur said. John Kirkman, Executive Director of Western Sydney based Information and Cultural Exchange (ICE) said, “This is a wonderful appointment and I congratulate both Maud Page and the Art Gallery of New South Wales. “Maud cut her curatorial teeth working with communities and artists in Western Sydney, so it’s wonderful to welcome her back to Sydney. I know she will bring creative acumen, leadership and a new excitement to one of Australia’s premier cultural institutions,” Kirkman said. Page will commence at the Art Gallery of New South Wales in January 2017.